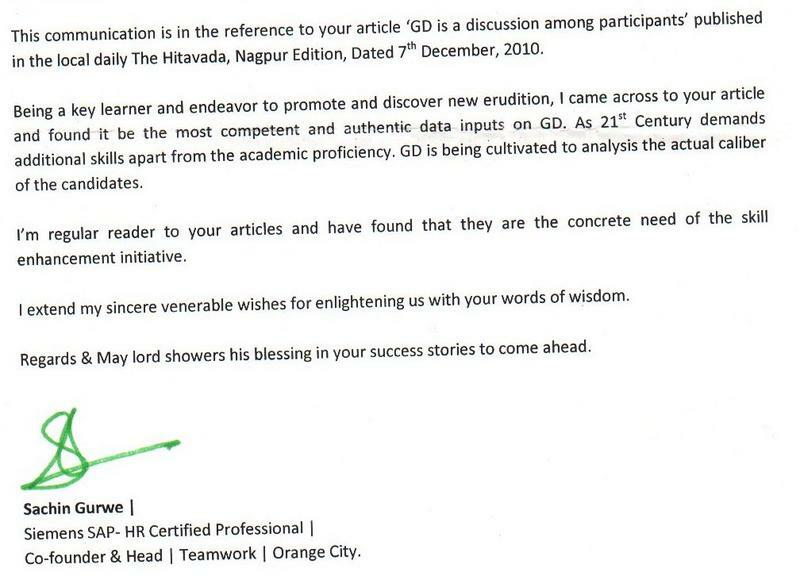 Sachin Gurwe ji, Co - Founder & Head, Team Work, Orange City gave me feedback regarding my article published in Future Section of Hitavada on "Group Discussion" dated 7th December 2010. I would welcome feedback from all those who read my articles. They are very motivating and helps me in writing good stuffs for you.